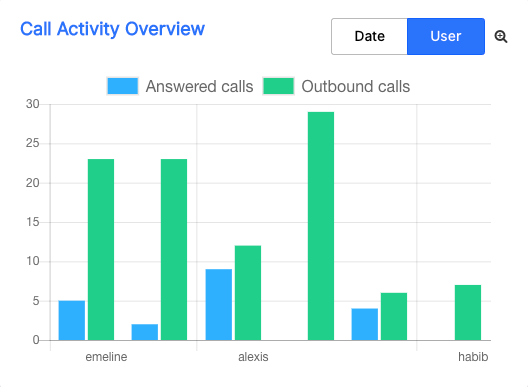 This stat will allow you to analyze in detail your inbound & outbound call activity. This can be very useful to adapt the profiles for your team. You can dig deeper and detail inbound and outbound activity by user. Not all agents are made equal. 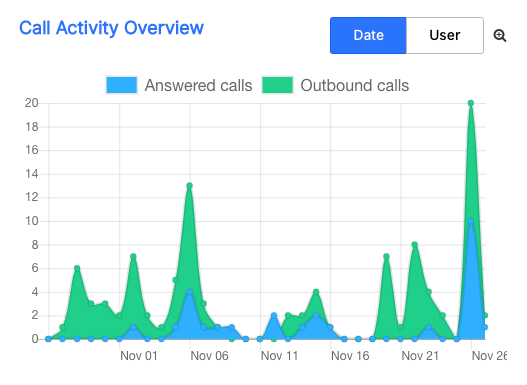 By knowing the ones who have better inbound calls pick up rates versus outbound rates, you will be able to concentrate them on their best skills. If you have any feedback, feel free to email us at support@ottspott.co.